Further to this, it also serves to document what was being played in many of the local nightspots during this period. As I’ve previously written; “to understand anything about the dance music scene in Liverpool at this time, one huge contemporary myth has got to be exploded, and this involves Northern Soul. 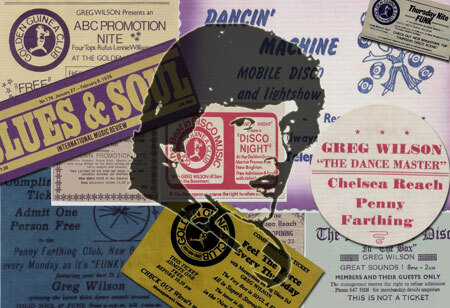 Northern Soul was not played in every club in the North during this period; in fact it wasn’t being played at all in Liverpool! Northern Soul never gained a foothold in Liverpool, where a funkier groove was the order of the day. It was also never a factor within the black community in general (be it Liverpool, Manchester or wherever), who weren’t interested in digging for rare 60’s music when there was a wealth of great Funk, Soul and Reggae released in the 70’s”. DJ’s like Les Spaine, at The Timepiece, and Radio Merseyside ‘Keep On Truckin’’ presenter, Terry Lennaine, were at the vanguard of the local scene when I made my debut in December 1975, across the river in New Brighton – I write in greater detail about all this in an article called ‘When Funk Held Sway’, which can be found on my website, www.electrofunkroots.co.uk, along with a fascinating interview with Les Spaine.